I want to create a presentation about English Tense in latex. Till now I create three slide. 1st slide is a title slide. 2nd slide is for Content slide,3rd is a outline slide of my full presentation. I am trying to see what I actually want in this picture. In the picture the sentence with blue color represent link. 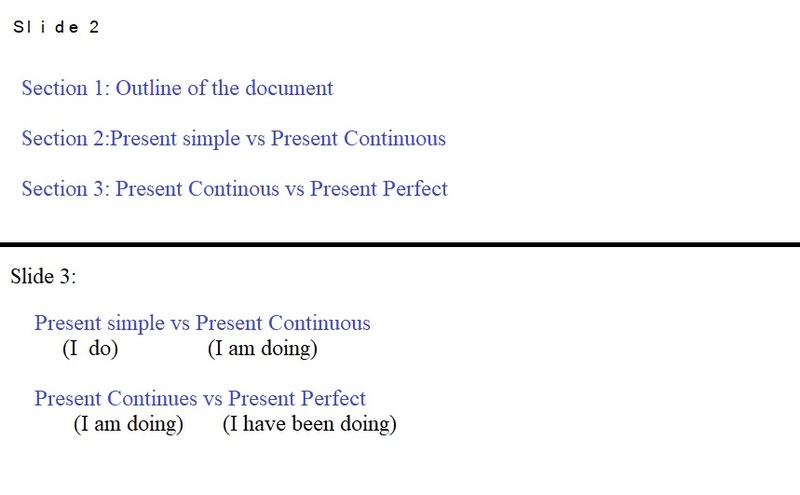 in slide 3 as per picture when user click on Present Simple vs Present continuous it navigate to slide 4 which describe broadly present simple vs present continuous. Not the answer you're looking for? Browse other questions tagged beamer itemize framed or ask your own question.